Slate.com recently ran a series on “Favorite Classes.” I thought that it would be worth sharing, and briefly commenting on, their perspective on mathematics and statistics. The idea that someone can be bad at math is wrong, and it hides several harmful assumptions. It’s an excuse to justify individual failure, rather than a real understanding of mental capabilities. 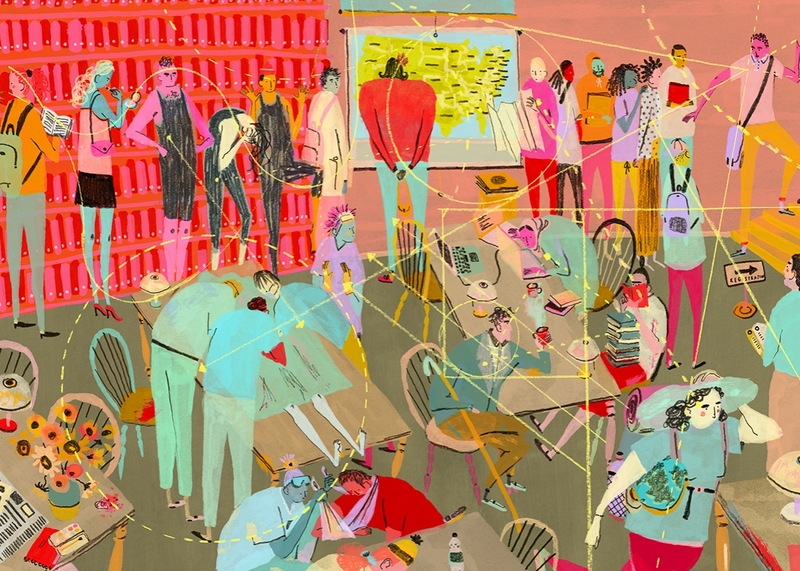 Giving up on math means you don’t believe that careful study can change the way you think. No one is born knowing the axiom of completeness, and even the most accomplished mathematicians had to learn how to learn this stuff. Put another way: Writing is also not something that anyone is “good” at without a lot of practice, but it would be completely unacceptable to think that your composition skills could not improve. It seems that the origin of math phobia is not the content of math itself; it cannot rest solely on someone’s inability to sit through logic puzzles, because people exercise careful abstract reasoning in every other field without the same sort of fear. Instead, I think the form is largely to blame. All of high school math is basically a one-way linear staircase that leads to calculus. If you fall off at any point, you’re doomed. Calculus prep has infiltrated the curriculum to such a degree that I think people conflate doing algebra with all of math. Students spend so much time memorizing computational tricks that they don’t get to see anything else—that those algorithms have a logical derivation, and that plenty of math isn’t even like that. 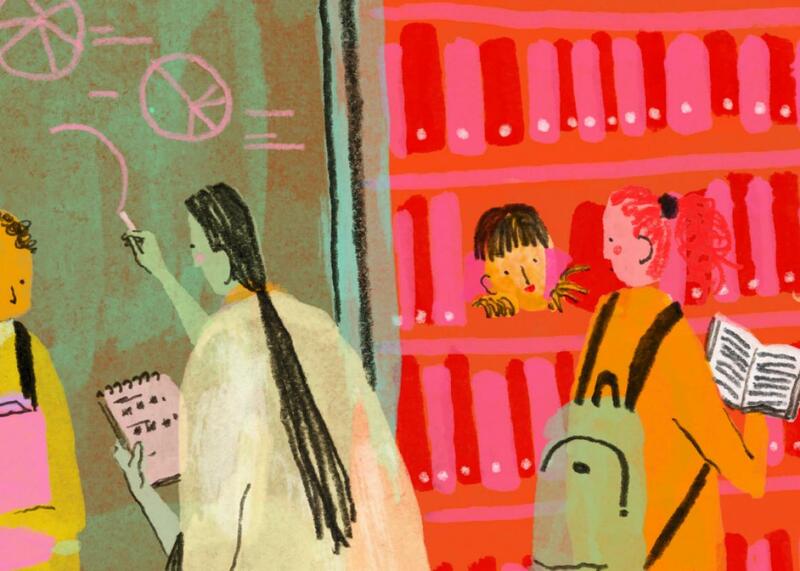 In short: the form of teaching matters, not just the content that is taught. I have discussed the form of teaching before. If math is taught purely as algorithmic thinking that leads to a single ‘correct’ solution then it should not be surprising to hear the people who don’t get the ‘correct’ answer to label themselves “not a math person.” As I have discussed before on the topic of the form of teaching, we as math educators need to be mindful of not just the content we teach but also how the manner in which we teach it is shaping student perspectives on mathematics. On this note I encourage you to search for articles on “Productive Struggle” in mathematics. Here is one such article from a colleague at Texas State University that was recently published in the Journal of Mathematics Teacher Education. Not every educated person needs to be a mathematician, but no educated person should be afraid of the steps it takes to get there. If there’s one skill almost everyone agrees schools should be teaching, it’s critical thinking, although what, exactly, critical thinking consists of is conveniently left undefined. For the longest time, I preferred to believe that it meant learning to be skeptical about words, specifically the arguments, exhortations, and beguilements foisted upon the public by politicians, advertisers, corporations, and the dodgier elements of the press. As a former English major, I figured I had this one nailed; if there was anything I mastered in college, it’s the ability to find the hidden and sometimes manipulative meanings in language. What I, in my complacency, chose to ignore is just how much of the persuasion now aimed at the average citizen comes in the form of numbers, specifically numbers that tell us about the future, about how likely something is to happen (or not happen) based on how much it happened (or didn’t) in the past. These numbers sing to us the siren song of cause and effect, humanity’s favorite tune. Why do we like it so much? Because knowing what causes events and conditions is the first step toward controlling them, and we human beings are all about controlling our environments. That’s how we ended up ruling this planet, and it’s how some of us hope to save it. I have written before on the Myth of Critical Thinking in Mathematics. To “think critically” is by definition “to be critical of thoughts” or in other words “to critique ideas” as they arise rather than accepting or rejecting them blindly. Critical thinking means thinking rationally and reasoning through arguments with care and consideration of the options on the table. This, of course, sounds all well and good until we as educators stop and actually consider the reality of the situation in the math classroom. There is an underlying standard of judgment that is being instilled in students (whether knowingly or unknowingly) and this is the root of what is occurring in mathematics classrooms. The way in which students implement their “critical thinking skills” upon the completion of their mathematics courses is simply a symptom of a deeper reality that is being formed within them. That reality can be formed from a Christian perspective where it is God who sets the absolute standards for Truth, Beauty and Goodness, or it can be formed by very humanistic standards of relative truth, subjective beauty, and goodness defined by utility. The humanistic standards that are pervasive in our educaitonal system is what I believe leads to the last part of the quote above: “We human beings are all about controlling our environments. That’s how we ended up ruling this planet, and it’s how some of us hope to save it.” A Christian perspective realizes that we as human beings are indeed all about controlling our environments, but that is as a result of sin and brokenness and not a trait to be admired. We wound up ruling this planet not by innate ability but by God’s granting to us the stewardship of His creation. And we can never save this planet – we can only rest in the promised hope of future redemption in Christ. I strongly support the claims made by this article on the need for an understanding of statistics, especially in this age of digital media. However I believe we also must always be mindful of the worldview that we bring to the table in understanding statistics. Thanks so much for this post and for this site! I’ve been teaching middle and high school math for a few years now. My degree is in Bible and Theology, so I naturally approach every subject I learn and teach from a standpoint of Christian Worldview first. I am also thrilled that you’ve shared some of these useful articles for correcting the woefully common misconceptions about math abilities. In fact, I have shared similar information and insights with my colleagues, families, and students with regard to learning styles, multiple intelligences, modalities, etc. It is very faddish to take a quiz that says “I’m this way and here’s how I do things and here’s how I need things done for me” rather than to say “Here’s what I tend toward, and what i am already strong in, so here’s where I need to grow and learn and develop my weaknesses” (Indeed the same thinking underlies modern attempts at church organization vis-a-vis the “spiritual gifts” profiles). I am proud to be working on inspiring students in their appreciation of math as a part of their discovery of God, His creation, and the faculties and abilities He’s given us to “tend the garden”. I find, when expressing it this way, I almost never get a student who asks “why do I even do this math that I’m never gonna use anyway”. They realize that it has deeper meaning in many practical and spiritual ways as they grow and follow the Lord into their vocation as mature human thinkers and practitioners. Again, thanks for sharing Looking forward to reading more.